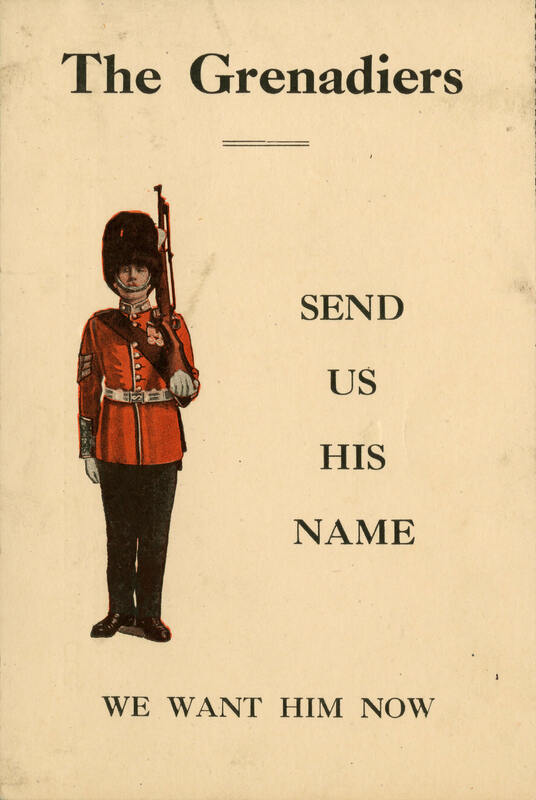 This recruitment card was sent to local communities to anonymously supply the Grenadiers with the names of those young men who had not yet enlisted. The Grenadiers would then presumably approach, or pressure, the un-enlisted men join. It is unclear how common this tactic was among recruiting battalions, but there is shaming material like this in the Canadian War Museum collection, and other aggressive tactics were witnessed in Canada during the war like pinning white feathers on men to signify cowardice or the singling out of young men in large crowds.